So, we always knew it was never gonna be easy, lets be honest! Yes, the little man won’t have the stress of transitioning to a different school, his secondary school is in the same building as that of his primary thanks to the fact his in an independent special school for children on the autism spectrum, but nonetheless it’s still hard! The school very wisely started the transition before the break up from school. This helps little man adjust and prepare for his routine in September, it’s not as if he will be returning to the unexpected this way. It’s been a week now, his had good and bad days (I’m assured the good far outweigh that of the bad which is reassuring). It’s a lot for little man to take in, he was the oldest in primary and now his one of the youngest. Plus it’s just himself and only one fellow pupil who have entered the secondary class in which he will spend the next year. There’s new time tables, new expectations, new rules and of course new sanctions and rewards. I’ve tried to encourage little man to see this as a positive move, I’m continuously encouraging him to really go for it and do his best. You have to say things how they are with my son so I have to be straight by telling him that if he messes up these important years of education he will look back later in life feeling sadness when he is forced to do it all again as an adult. Tuesday was a particularly hard day for little man, he had his first sanction applied. Confiscation of property! His old TA had brought him a gift as a reward for his hard work in primary. Little man refused to put it away till home time and was said to continuously distracting others with his playing with this toy through lessons. I didn’t find all this out till later via email, little man had come home frustrated and angry and sadly I was now in the firing line. Instead of being able to express his feeling to me, he just exploded, punching and hitting me. For me it’s very frustrating and upsetting especially when I am unaware of what has gone wrong. There was many tears that evening from both of us! He was convinced he would never get his toy back, we had a long chat about the ways in which he would earn the toy back from the teacher and of course the ways he wouldn’t. I hoped that when he slept that night he had gone to bed with a better understanding of where he was going wrong! The following day little man left with the promise he would try his best… Trying is good enough for me, I don’t expect nothing other than my children to try (it’s the key to success). He returned home beaming from ear to ear with his toy in his hand. I then received an email from the class teacher who reported how much better my child’s attitude had been towards both his learning and that of the behaviours expected from him. It left me with a warm fuzzy feeling of pride deep in the pit of my stomach. Little man received lots of praise from me as result and it’s this praise I feel helps him to want to do well. Today’s evening email which stated he has continued to try his best to adjust to the daily routines of secondary school just confirms this. 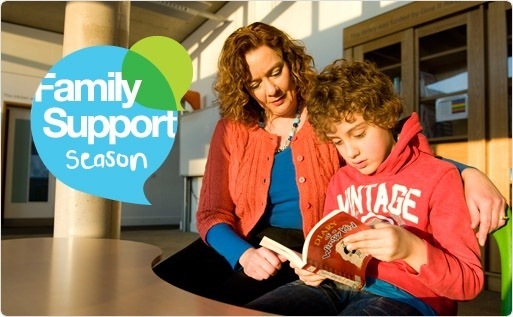 I know he will continue to have ups and downs, this is one huge transition for a child who depends on the daily routine he is used to… Transitioning to secondary school is likely to be one of the hardest transitions my son is likely to endure but I have confidence in him adjusting and making it a success. But it’s not all about transition for Little man, he has daily battles he must over come and his over come many. Of course as his mother I can be seen bursting with pride and as mentioned I’m forever praising his efforts. 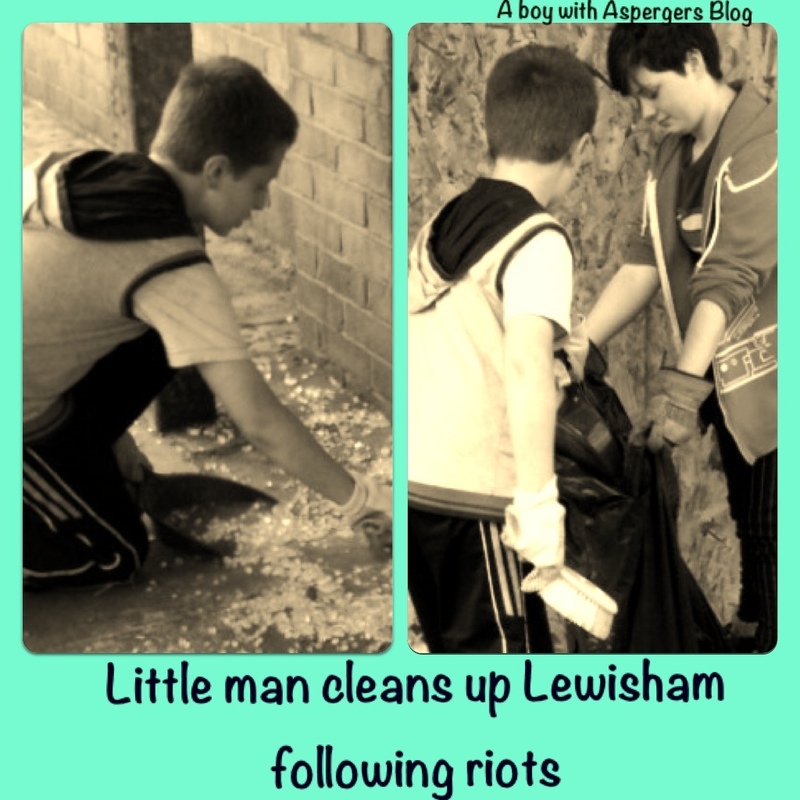 Little man helping me organise and take part in a riot cleanup for our local area. He featured in a BBC news report as a result and the whole family and beyond praised him for the fantastic work he had done for his community. 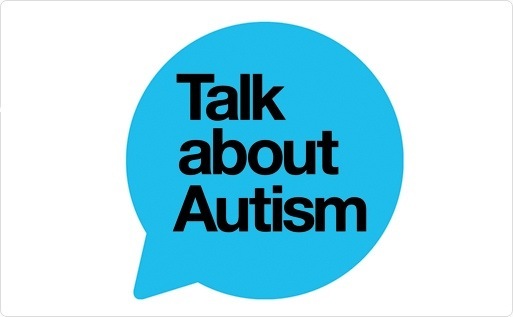 Another huge example was his ITV news interview about children with autism being bullied in mainstream schools. He had recently had a real hard time, so for him to take part to help raise awareness for an important subject resulted in plenty of tears from me. We downloaded and burned the report onto a DVD. Little man thought this in itself was the best reward ever (even if his 5 minutes of fame did go to his head a bit). I’m proud of all three of my children and I’m sure each one will continue to make me feel this way in the many years to come. It really is the little steps we celebrate because it really is true, it’s these that amount to the bigger steps. I never take the “simple things” in life for granted anymore because what might seem simple to us is a mountain to my son. The achievements we celebrate might seem odd to others but in our home it’s anything but odd at all! 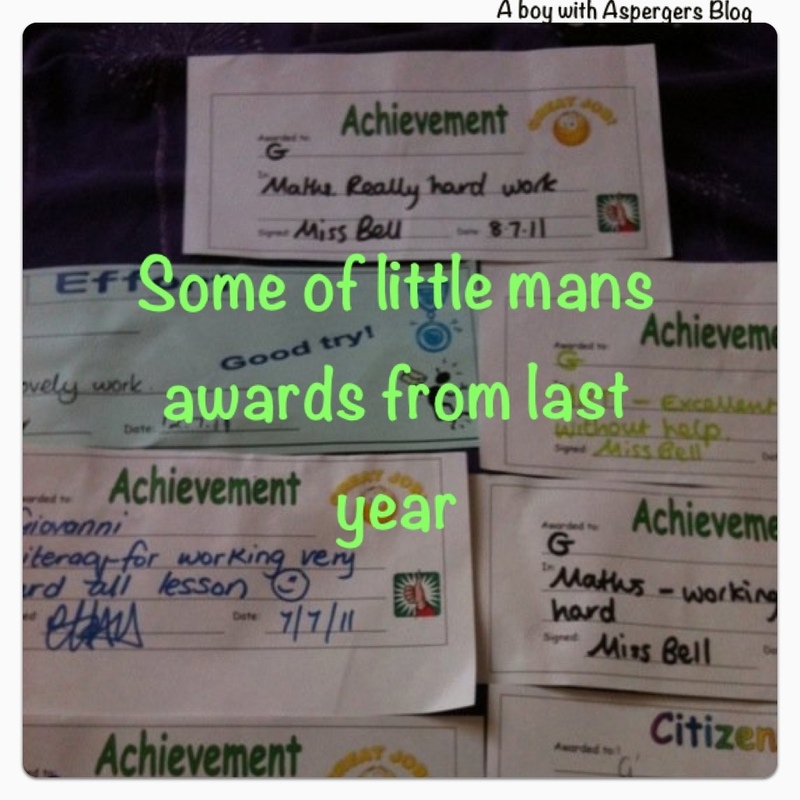 I’ve decided to link this post to the Britmums Linky #PGRaisingOlympians which celebrates our children success. The linky and campaign is sponsored by P&G.